Kenyan based Illumina Africa Limited was incorporated in September 2016. Illumina Africa offers an end to end service and delivery of solar pv systems, custom designed for off-grid, residential, commercial, agricultural and utility scale projects in Kenya. Our company is built with a vision to make a significant impact on the energy mix in Kenya, by integrating solar for all types of applications, innovating with finance structures and solving the intermittency issue of renewables for all the above applications through storage technology. We really believe that solar energy is the most scalable renewable source available, and can be integrated with other energy types and energy storage. Access to electricity is a significant hindrance to economic prosperity, and our vision is for Illumina Africa to catalyze economic growth through improvement in the overall energy infrastructure of the country on all levels. Solar PV – We are focused on optimizing designs and installations of solar PV with storage for residential applications, as well as grid tied solar for commercial applications. Our goal is to utilize the most efficient design that produces the lowest possible levelised cost of electricity (LCOE). Customer focused approach to designing optimal solutions for you, while providing an efficient 4 step process to make going solar easy! Illumina is proud to position itself as a technology agnostic company with ties to every major solar equipment provider and Tier 1 solar panel manufacturing companies. We source each and every component that is the most optimal for your particular situation. We are performing extensive R&D into the application of better storage technologies to solve peak load problems, manage solar intermittency, solve off-grid electrification and power mini-grids. Illumina is proud to be strategic partners with established companies for system integration, installation and financing for projects of all sizes. Our partners have the experience to handle projects in the scale of multiple MWp. Utility Scale – We are innovating on the potential for large scale storage to solve the intermittency problem that can prevent renewables like wind and solar from gaining a significant penetration in the energy mix of Kenya. Corporate Culture: Creating sustainable value is the purpose that unites us at Illumina Africa. We take a customer centric approach to the way we approach problems and engineer solutions. We believe in first principles reasoning that enables us to truly understand the benefits of newer technologies, and utilize them as a tailwind. Kaizen is also a central part of our culture and we are constantly looking for ways to improve. Our Vision: Making a key contribution to the energy value chain through innovations in technology, engineering, operational excellence and finance. Illumina Africa is pioneering and advancing the energy ecosystem through first principles reasoning. We also want to create a better probable outcome for humanity, by changing the massive human experiment we are performing on our planet – as non-renewables are changing the chemical constituency of the oceans, land and atmosphere. Our Core Values: The customer is everything, and this is the centre of our core values and approach to business. Transparency, highest quality engineering/safety, excellent customer service and kaizen are our most important core values. This ties in to our company culture of first principles reasoning in order to be able to properly understand and quantify the monetized benefit of new technologies. We aim to bring solutions to customers before they even know they need them. 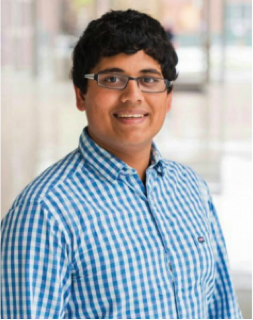 Rushab is the CEO and head of finance. He studied at the Sauder school of business in UBC, Vancouver, and graduated with Finance and is a 3rd level CFA candidate. Upon graduation he worked for CIBC, one of Canada’s largest banks by market cap doing Mid-Market credit, leveraged finance and M&A. 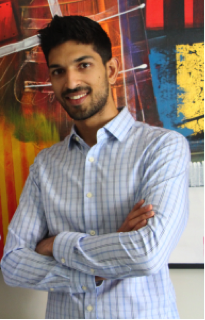 Inspired by stories of business icons such as Elon Musk, he left his job to co- found Illumina Africa with Pulkit and Nikhil. Illumina Africa noticed the potential for energy storage as the “missing link” and our vision aligns with this missing link. Nikhil is Illumina Africa’s chief operating officer, managing our entire value chain – customer focused sales, analysis, design and engineering, installations, systems monitoring and maintenance . Working closely with the technical teams for projects, from PV system design to components selection and instllation procedures allows Illumina Africa to provide a very effecient and simple process of going Solar. 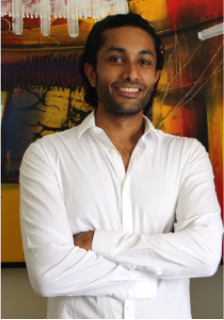 Nikhil’s experience in the construction and development industry in Kenya – working together with all the major architects and developers, gives Illumina Africa a critical understanding of the industry, project management and logistics. Illumina Africa works in partnership with established companies in the fields of construction, architecture, Energy & Site Management both locally and internationally. They provide us with expertise in system intergration, Solar PV site management, water pumping solutions with PV, and financing. We are also partnered with the top component manufacturers worldwide as their trusted distributors and installers, and have undergone significant training of their products. From contract signature and project development, Illumina Africa has you covered throughout the system life with our professional O&M contract which ensures that we are monitoring your system remotely 24 hours a day, responding to any site issues that may arise, and performing regular service checks. Remember solar energy is not an engine, so it hardly ever breaks down. A fully integrated model means Illumina Africa take care of everything, providing you with a specialist turnkey solution, making the switch to solar easy. Our efficient 4 step process gives the client a clear understanding of the process, making it simple but customer focused, while allowing Illumina Africa to provide everything that is required to develop and deliver a state of the art project that totally meets the client’s requirements. Our partnerships with H Young (one of the top EPC’s in Kenya), and Waaree Energies (a fully integrated solar energy company in India), mean their specialist team in civil and structural engineering, system integration, and site management join our specialist team in system engineering and design, financing, monitoring and maintenance to execute a top-quality project and 25+ years system performance! The partnerships with the top system component manufacturers – Schneider Electric, Victron, Jinko Solar, Waaree Energies and more, mean that we use the best Tier 1 components available that come with respected warranties and immediate service and replacement support in case of any fault. This together with experienced installers and the specialist support from H Young and Waaree Energies allows Illumina Africa to develop and deliver systems with top performance and zero upkeep from you. It also gives confidence to our clients that Illumina Africa will execute the project with high standards. Illumina Africa is a ERC certified solar energy EPC with C1 V1 V2 & T3 licenses. Our design software’s, engineering expertise and component suppliers are approved by KAM (Kenya Association of Manufacturers). We design tailored systems for different applications with engineers representing the component manufacturers who will work with us to design the most optimal solar system and verify the designs. Any client queries can be discussed together with the partner teams. What if the Solar System stops working? Through our remote monitoring service 24 hours a day, we will know when the system is underforming or something stops working. This usually means either of a loose connection, some dirt, accidental damage, or a component defect which leads to underperformance of the solar system, and not total shut down. Our team will inform and respond to our clients as soon as we realise that something may not be working correctly. The service is usually minor and fixable in 1 day, in the case that it is a component defect or damage, Illumina Africa and the manufacturer will respect all warranties and replace the component efficiently without causing production delays and interference with operations. Remember solar energy systems do not affect grid/utility performance, a quick changeover to the grid/utility only power supply will allow you to operate as normal while the solar system is being serviced. It is very unlikely for an off-grid system to stop performing, as the system is stand alone and cannot be affected/damaged by utility power issues. Panels and batteries may start underperforming slightly, which we will notice, but will never break down totally. What if something happens to my roof? We always carry out a thorough survey and ask if roof design and drawings are available, a report is then provided by a structural engineer on the findings. We always ask the client to carry out his independent survey as well. Roof warranties can be structured if requested. Don’t worry, we don’t have overseas team members. Reaching our specialist team based in Kenya is simple, they will be ready to help in no time. What if I can’t afford the system? Tailored financing options are available if applicable for the specific application and client. We work closely with financial institutes to offer all types of clientele something tailored to their requirements. What if I don’t use the solar production? Our detailed analysis means we record your power consumption over 1-4 weeks to understand your exact power requirements and consumption patterns. This means our solar designs are accurately sized to produce just enough power but never too much. A battery storage unit allows any excess power to be stored and used at night or during a blackout. This is most common in homes where most of the power generated through solar is during the day and most of the consumption is at night. What if solar damages my equipment? The solar energy system and panels are designed to produce the same frequency and voltage as the utility does, and it never changes. Your equipment will not know if it is your solar power or the utility power that is being used to power it.